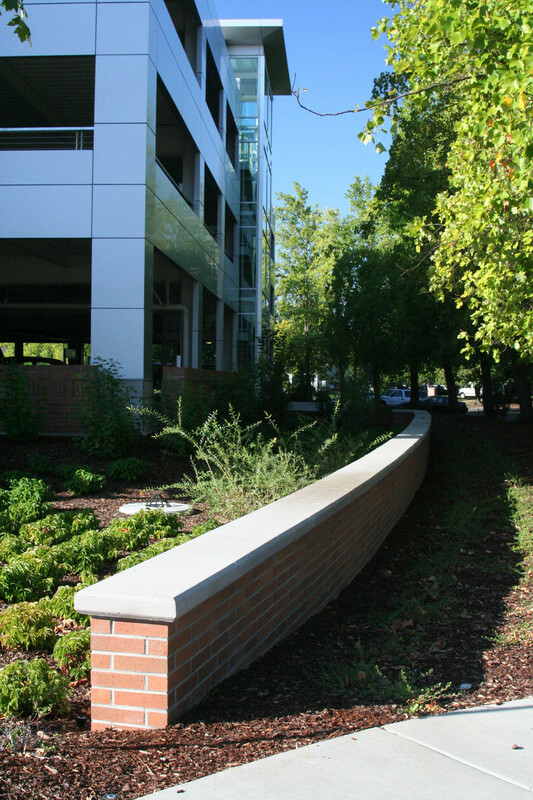 Teaming with the architect and project engineers, the parking structure was sited to preserve the tall, mature trees, using state-of-the-art tree protection measures. Teaming with the architect and project engineers, the parking structure was sited to preserve the tall, mature trees, using state-of-the-art tree protection measures. 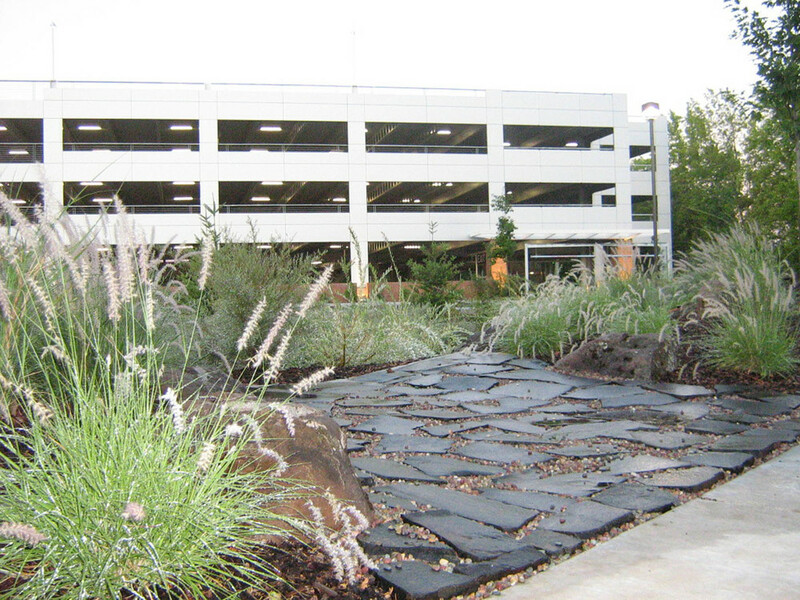 The landscape surrounding this 4-story, 600 stall parking structure is a LEED project incorporating four stormwater detention basins, native plantings, and patios. 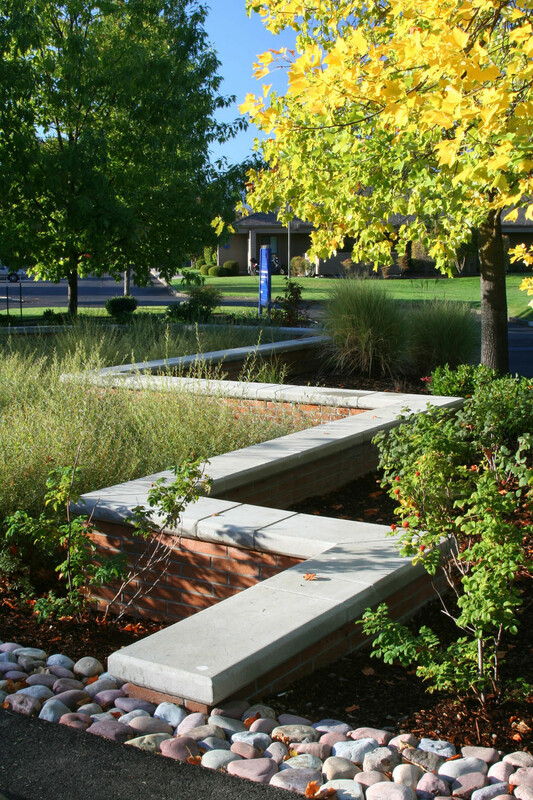 The resulting views are pleaseing, blending this large structure into the landscape as seen from surrounding streets.